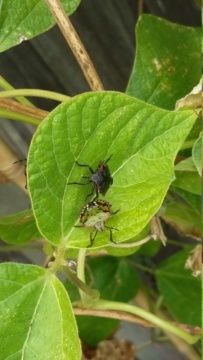 I've just come in from the garden having found my runner beans with rather a lot of beetle visitors on them. 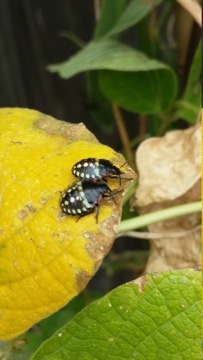 Tried to id them myself from a beetle identification website. Trouble is, I really, REALLY can't stand to look at any insect close up - I find them revolting to the point of .... well you don't want to know. So, I got to about the 4th picture and just couldn't look at any more. 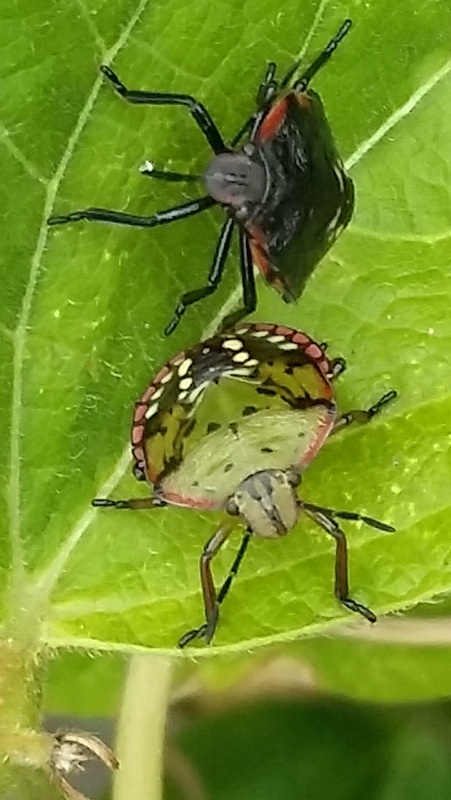 I thought they looked rather like shield bugs, but they are spotty. 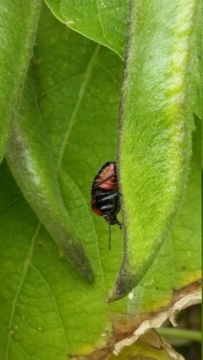 Although having studied the very last pic, I think I could be right as the green bug looks, if you enlarge the photo, as if it might be shedding its spotty covering. Any thoughts please? Just enlarged the last photo, as they aren't very clear on here. 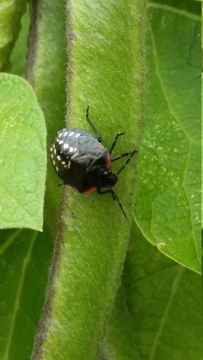 https://en.wikipedia.org/wiki/Nezara_viridula - scroll down to the pictures of the lifecycle. - might not be the best thing to have on your beans then. Edited to add: Hah - too slow ! » Zuchinni died from a bug-- what to do with 9 sq?